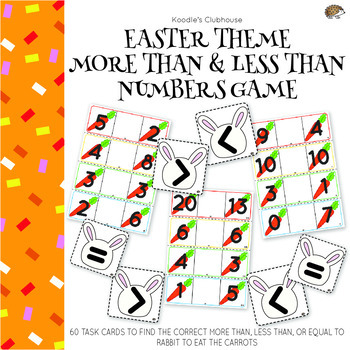 The Easter more than less than is a fun way to help children learn and cement their understanding of number value. This is an excellent hands-on activity for the numeracy center. This tried and tested activity is great when using clothes pegs for easy clip-on placement. 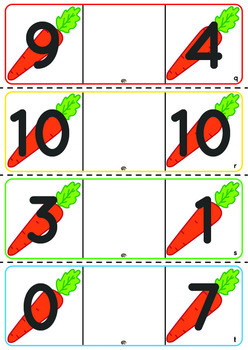 This product contains a set of 60 task cards and 8 bunny more than, less than and equal cards. For easy symbol placement, glue the bunny cards on clothes pegs. 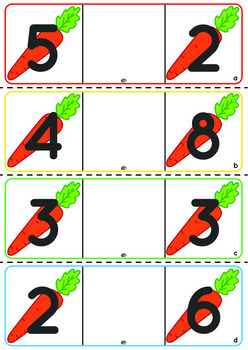 To prepare the task cards and bunny symbols, print the sheets you would like to use and then laminate for durability. Glue bunny cards on to clothes peg. You can use the laminated task cards as write and wipe sheets with board markers.